Duchess Kate: Kate in Zimmermann; Gives Speech: "To be Here Together as a Family has been Very Special"
Kate in Zimmermann; Gives Speech: "To be Here Together as a Family has been Very Special"
The Duke and Duchess of Cambridge began day three (Good Friday) of the royal tour of Australia with a visit to the Royal Easter Show at the Sydney Olympic Park. The show is one of Australia's largest events, and every year it attracts around 900,000 people over two weeks for a celebration of the country's culture and rural traditions, and helps support rural communities. It is run by the Royal Agricultural Society of New South Wales and was first held in 1823. Queen Victoria awarded the society and its show the right to use the word "Royal" in its name. The show comprises an agricultural show, an amusement park and a fair and combines the elements of each, showcasing livestock and produce. The comprehensive fair has many competitions including arts and crafts, photography and cookery, as well as tests of strength and skill such as wood chopping. It's very much a family day out, offering something for everyone. Crowds eagerly awaited the arrival of the royal couple. William and Kate were introduced to Fred the ram. We know the Cambridges enjoy exchanging banter and this was very much evident today when the Duchess suggested a solution for her husband's bald patch - an alpaca toupee and when the couple were watching sheep shearing and were shown the wool, Kate turned to William and said "you need it more than me". A look at some of the produce on show. Kate was given a book about wombats and said "I will read this to George, he is obsessed with wombats at the moment". The Duchess also revealed the little prince "particularly fond of sweet potatoes". Reporters said Kate was very taken with this little girl. 'Kate, a keen photographer, paid special attention to the pavilion's photography display. She told Alison Renwick, former chair of the arts and crafts pavilion, that she enjoyed taking photos, and painting and drawing. 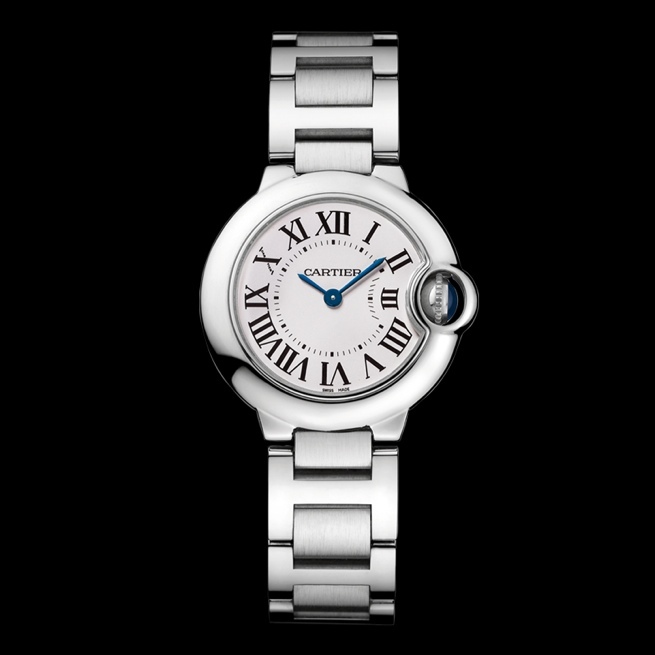 "She said she doesn't get much time for it anymore," Ms Renwick said. Rebecca English shared these great photos via her Twitter feed. Prince William came across an admirer as he walked past the Haunted House. William and Kate walk past a grain helicopter. William looked very pleased with his Easter egg. The couple met with 16-year-old Sophie Aylward - the young designer who won the 2013 Wool4Schools design competition. Sophie's brief was to create a formal piece of clothing for a member of the modern Royal Family - in her case the Duchess of Cambridge. The student researched her subject to find out what colours and cuts would suit the Duchess and then pulled all the elements of the brief together. The result: a beautiful woollen evening dress with many interesting elements incorporated. The lace pattern is taken from Kate's wedding dress; on the back of the bodice a light chiffon is used to add contrast; and the skirt of the dress is made from fine merino wool. The garment is very reminiscent of Jenny Packham's earlier designs. It would be quite something if the Duchess chose to wear it publicly and very special for Sophie. Below we see Sophie with a model wearing her creation. 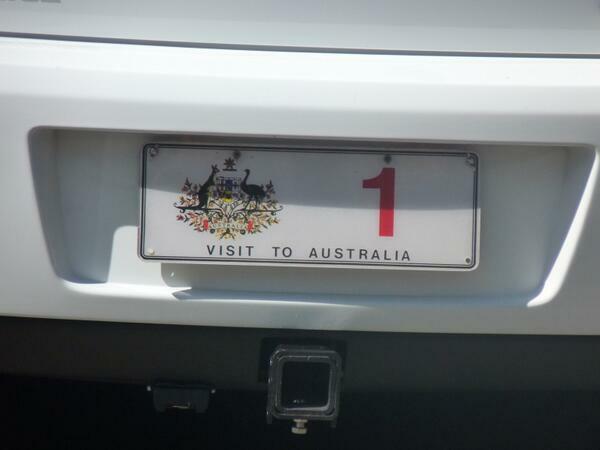 A look at the number plate on the royals' official car. After popping back to Admirality House to have lunch with George, the Duke and Duchess visited Bear Cottage Children's Hospice. I was surprised to read it is the only Children's Hospice in New South Wales - a real pioneer in Australia - and a very warm, colourful and remarkable happy place for families going through some very difficult times. Kate spent time with patients. The Duchess was very keen to learn from Australian providers of palliative care, and to share her thoughts from her work with her patronage East Anglia's Children's Hospices. It's an area Kate's very passionate about and it's wonderful to see a hospice visit incorporated on the tour of Australia, particularly as there's only one in New South Wales. Support and awareness are vital for expansion of these badly needed services. Kate unveils art work received as a gift from patients and their families. In honour of the visit, this incredible cake was made by the talented folks at Spectacular Cake. 'It really is wonderful to be here today - having the chance to meet you all and see the incredible work of Bear Cottage. First class delivery of children's palliative care is life changing. When families are confronted with the shattering news that their children have a life limiting condition, their world can fall apart. It is at those times that professional support is imperative. I first saw this through East Anglia's Children's Hospices and have since been fortunate to see similar work in Malaysia, then last week at Rainbow Place in New Zealand and now here today. William and I are strong believers in collaborative work. The sharing of best practice is transformational for organisations. The needs of families requiring children's palliative care across the world are varied. Circumstances and environment can differ - but the aim of those supporting them is the same - to offer the best and most loving care possible. I enjoyed Kate's speech, although she was a little nervous she came across very well and clearly cares about children's palliative care. You can watch the speech at Sky News. Bear Cottage relies almost solely on community donations to keep their doors open to families. The hospice is there for every child, parent or family who needs them, and they will never have to pay a cent. If you wish to find out more or donate please click here. There's a terrific video showcasing their work at YouTube. Staff and families have been incredibly excited about the visit. According to Hello! Kate said she was "ready for a big sob" after the emotional visit. The couple fought back tears as they met a dying baby the same age as Prince George. 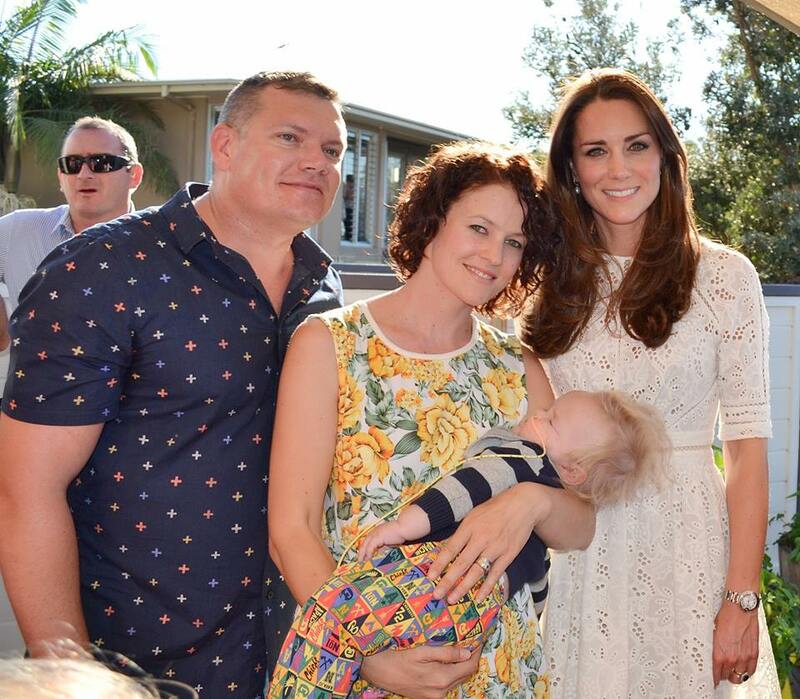 From their Bear Cottage visit, William and Kate travelled to Manly Beach where they watched a display of life-saving skills and met volunteers. It's estimated volunteers at Manly have saved 200 lives every year for the last 25 years. 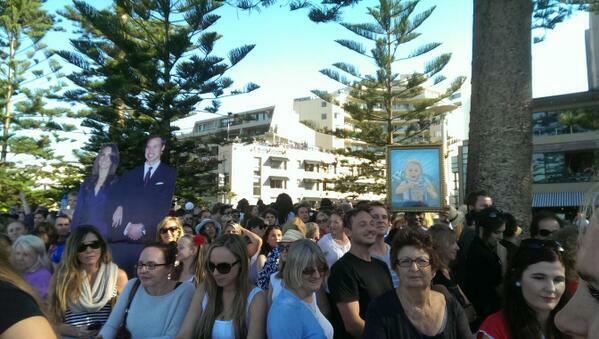 There was tremendous excitement in Manly as locals assembled to welcome the couple. Kate's private secretary Rebecca Deacon took off her high heels on the beach while Kate left her wedges on. The Duchess running on the beach. Kate said she wished she could have brought George to the beach but he was asleep. The Duchess looked elegant in a dress by Australian designer Zimmermann (a designer we looked at in our earlier tour predictions post). 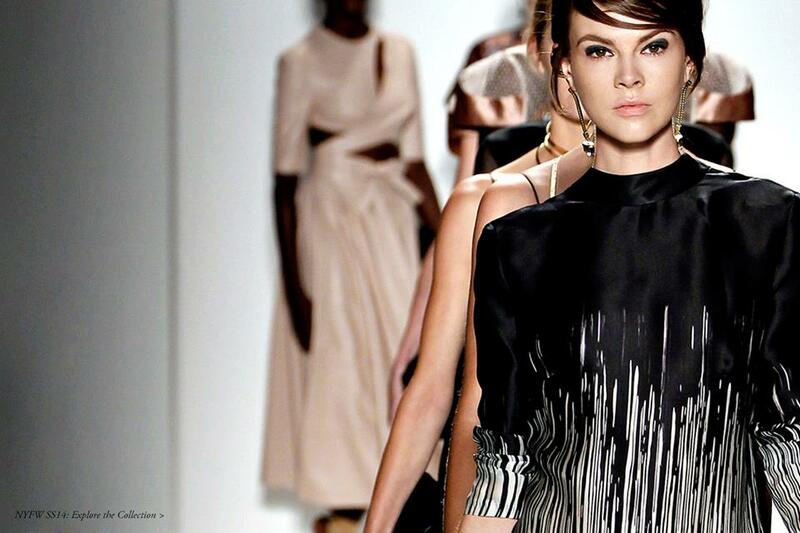 Nicki Zimmermann has been one of Australia's most influential fashion figures for over twenty years. From her ready-to-wear collection to a successful beach wear range, the brand is in demand both at home and internationally. Kate wore the label's cream eyelet Roamer Day Dress from the Summer Swim 2014 Collection. The dress arrives in stores worldwide in June for $495. It is a beautiful garment and so very Kate. 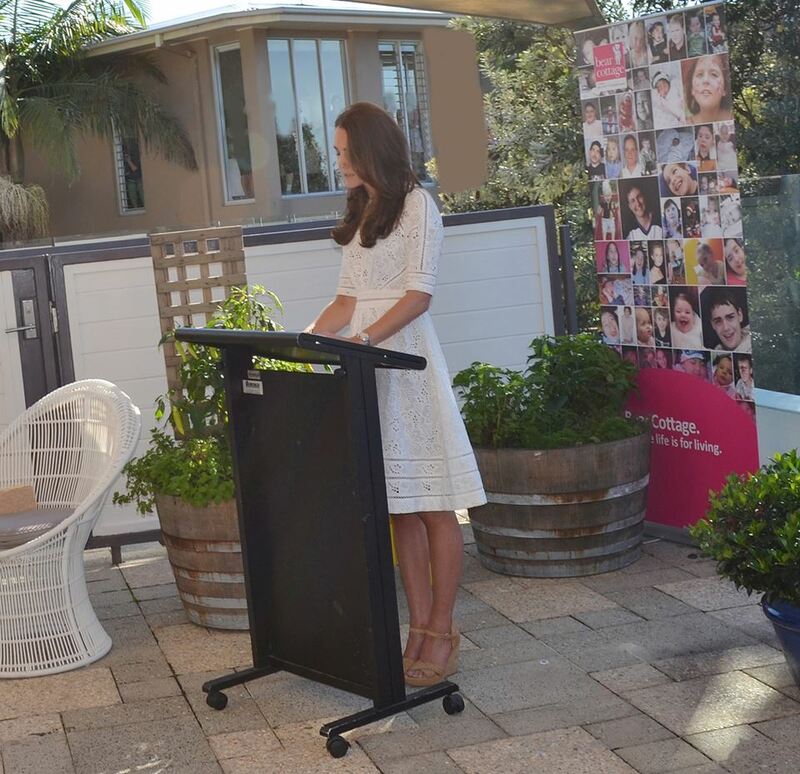 It's excellent to see Her Royal Highness championing an Australian brand today. The dress has been worn by actress Naomi Watts, who played Princess Diana. Those who enjoy Zimmermann designs may be interested to hear they're available at the Zimmerman Website and ShopBop (get 25% off with the code INTHEFAMILY14 at checkout). Readers quickly noted Kate's dress today is somewhat reminiscent of the broderie anglaise Alexander McQueen suit she wore in Singapore in 2012. Kate accessorised with her Stuart Weitzman Minx Wedges. 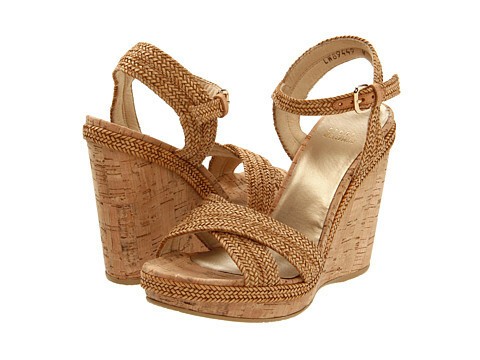 The stylish camel wedges are currently available at Zappos for $395 with Free Shipping. They're currently on sale in ivory at 6 p.m. reduced from $395 to $118. Kate accessorised with her Annoushka pearl earrings. Footage from the Royal Easter Show. Kate views Sophie's Aylward dress. Scroll down to see video. A video of William on Manly Beach is available here. There's a nice moment towards the end when a man who met William reveals he has "soft hands". Kate's speech is available at Sky News. Their Royal Highnesses will travel to Queensland and visit the Royal Australian Air Force base at Amberley. The visit will include a tree planting ceremony and a reception. The Duke and Duchess will travel into Brisbane City Centre to attend a reception hosted by the Governor and the Premier of Queensland. Today was my favourite day of the tour thus far - excellent quotes, Kate's speech and terrific photos made for a very fun and interesting day. Share your thoughts on today's events and Kate's dress in the comments section below. As always, I'm looking forward to hearing your input. I really like this dress a lot. It's a beautiful dress and looks very comfy. I'm glad Kate wore different shoes today and switched her look up. I give this look a thumbs up. Beautiful.. 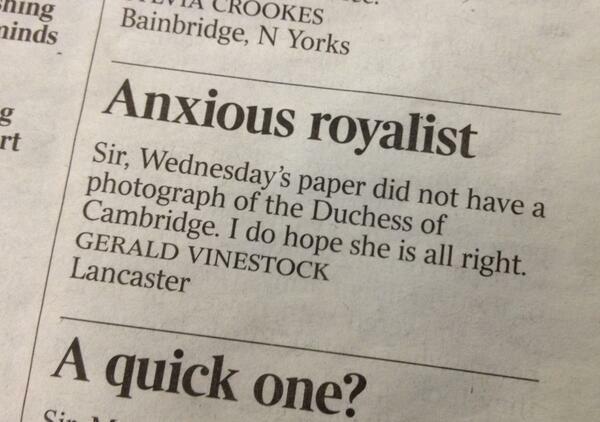 I laughed when reading about the person who was concerned that there were no photos of Kate in the paper. I wonder if he was genuinely concerns or if that was witty sarcasm. Either way I thought it was hilarious. I'm betting on witty sarcasm. Kate does look lovely in the eyelet dress and the shoes are terrific. I hope it was witty sarcasm! That would make it all the more hilarious. I generally like Kate's style, but this is one dress that I seriously wish I had the funds to run out and buy! 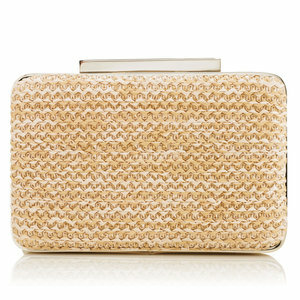 Perfect for a pretty spring day that included a trip to the beach! Love the look. She clearly likes eyelet designs. The dress is pretty but would have preferred to see her hair half up again, it looks a bit messy today. I love the dress. She looks lovely. Oh, I like that dress as much as I disliked the one the day before! It's lovely. I hope sometime during the day the Duchess gets a nice cup of tea, as a tea party seems the place for this white creation. I can't understand wedges - and I hurt my back while wearing a lower pair years ago, so I really don't trust them. But otherwise, the Duchess did very well today. Now I'm wondering if New Zealand designers are jealous! Oh - please don't boo me for saying this, but this is one of my least favourite outfits. I find it a bit plain and a little boring. Preferred her dress from yesterday. I think it looks boring because of the lack of accessories. I was instantly drawn to the bodice and how ... well, flat-chested it makes the Duchess appear. And poor Naomi Watts looks positively boyish in that department. It's odd that such a feminine fabric can contribute to this overall look! Agree - I also think it's the cut of the dress. i am not being facetious but didn't kate wear something similar to this in malaysia? just curious??? Yes indeed, an eyelet McQueen piece. I'll add a photo of it to the post! That white McQueen dress was one of my all-time favourite Kate dresses. And doesn't William look snazzy today in his baby blue tie and charcoal gray ? jacket? This dress also reminds me of the yellow primrose lace dress (independent dressmaker) Kate wore when leaving the Solomon Islands. love your coverage ALWAYS first in blogs thx so much!!! do you know when we will see little prince George again I heard via twitter he might be there today but I guess there were to many spectators I heard somewhere there could possibly be a repeat of a photo call like Williams on the lawn of the govt house do you have any info or heard a rumor or two thx so much. I'm afraid that was just a rumour as far as I know but we will see George at Taronga Zoo on Sunday! Gosh Charlotte, you must be getting so tired covering the tour. But you are doing an amazing job :) I love Kate's look! Its a beautiful day in Sydney today so her outfit is just perfect. Lets just hope she doesn't tread in any animal droppings on her walk around the show today though in those gorgeous wedges!! I am so happy that they decided to go to the show as its such a fun thing to do. Hopefully she will get to see the famous wood chopping, maybe enjoy some tea and scones from the Country Women's Association tea rooms and maybe get herself a Cadbury show bag on the way out!! 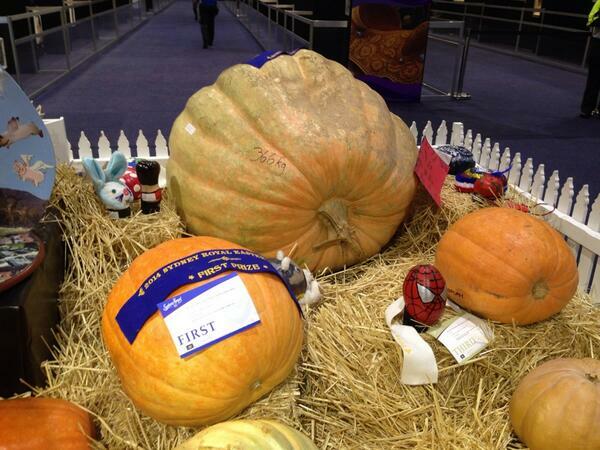 I had forgotten that it's autumn in Australia, until I saw the pumpkins! Kate's dress does not look like fall, but it is very pretty. So far her Australia wardrobe seems most appropriate for spring and summer. I'm thinking daffodils, squills, and snowdrops. Maybe cherry and plum blossoms today. I wonder if her choices have been made partly with an eye to the pictures that are seen back home? I also wonder whether there were lighter choices that could have been worn in New Zealand had the weather cooperated. Since there were dresses under Kate's coats, I rather think so. First, thank you for all your hard work on this blog. Kate fans are truly appreciative. Now on to the fashion: The Zimmerman dress, a big hit. This shoes, a big miss. Years ago someone must have told Kate "wow your legs look so long and thin in those big wedges" and she's not stopped wearing them since. Those chunky Stuart Weitman wedges, while cute, just don't work the dress for me at all. But I do love the dress. I like the dress Kate wore today. It has a country feel to it which suits the venue. The shoes.....eh.... I like the dress! I love it too! What a coup for her, and at such a young age. I also hope the Duchess will wear it publicly. Yes, indeed. Sophie's dress is a stunning creation in every detail. A splendid way to showcase Australian wool. We forget what a versatile fabric wool is and don't normal consider it for evening wear. I hope Kate will wear Sophie's dress in public. I like her look today and really prefer these wedges over the others. The newspaper clipping is very cute! I imagine Australian fashion designers hope this is not the only global image to represent their talent and creativity, but it is very pretty and suits Kate nicely. Not really cutting edge though, is it? I could see our US brand J. Crew doing something similar - mass marketer Target too, for that matter. Love white eyelet for summer, Kate seems to be going Northern Hemisphere as soon as the sun arrived. I like wedges in general and I like these too. They aren't cutting edge either, but a high style shoe wouldn't suit the dress. It would be fun to see Kate in gladiators sometime, wouldn't it? I love gladiators and would welcome that look; however, Catherine does not lean to cutting edge design. Her signature look is classic, functional and conservative. She also knows that people will write about every little thing she wears and probably prefers to minimize the attention to herself and focus on her causes and her work. Ironically, likely an equal amount of ink is spent on writing about what she wears again and again and what people wish she would wear instead. So droll. I can't think of any public engagement that gladiators would be appropriate. Catch a picture of Kate on vacation somewhere with a bathing suit cover-up and pair of gladiators - maybe. Speaking of the contest, does anyone remember the shoe contest back in 2012? The one with the blue color and white lace? Its been 2 years and Kate still hasn't worn it, but maybe she hasn't found the right outfit to wear it with? I don't mean to start anything, its just something that I remember after reading about the dress contest in this post. I actually just about to say something about those shoes! They are super cute and hopefully she will wear them one dsy. I was thinking that they match that dress, maybe she'll wear the together! Your not starting anything, at least not w me! The dress is beautiful but looking at the video, it is very open in the back. I think it is beautiful for a celebrity on the red carpet, but probably not appropriate for Kate. I don't think Kate has done a completely open back. Maybe the design could be changed to cover more. Lisa, hope a better job of fixing then the , I think it was a Jenny Packham, she wore her first black tie event after George. Remember those beige panels? Or maybe it was an under garment. It ruined the dress for me. It is not my favourite dress as I'm not a huge eyelet fan but Kate does look beautiful in it. It's a very chaste look. This is a beautiful dress and suits Kate's figure. I love eyelet for warm weather! It's not that memorable, but it seems very appropriate for the day. I like this dress. Again, she may have been thinking of the children's hospice. It is perfect for that and maybe she didn't have time to change.Actually, the NSW hospice is one of only two in the whole country. The gown the young lady designed is beautiful and perfect for Kate. I love this look, with the eyelet and the design and the wedges--the whole package. The Duchess glows every day, even the days she looks a little tired, and even when we don't particularly care for her style. I just love seeing the happiness she spreads around wherever she goes. I love knowing about the causes she champions, especially the children's hospices. Thank you, as always, Charlotte, for your stellar coverage of this tour and everything. I almost forgot to add that I do like the wool evening gown creation and hope that the Duchess wears it sometime. I hope Sophie has a bright future in fashion design. She seemed too casul next to William. Needed polish in her toes, but she looked great. I noticed the lack of polish too - and on other occasions as well. Kate is natural person with her style - however - I think sometimes she is a bit too natural. Maybe she did not polish her toes because I remember she did it back home in the UK a few years back and got raked over the coals for it. I have been following some of the sentiments of blog followers here about Kate not having worn clothes from a New Zealand-based designer. For me, I think Kate's sartorial choices probably had to do a lot with the weather in NZ and also just the image that she wants to project, sticking pretty much to structured, timeless clothes with a feminine flair. Comparing Emilia Wickstead and Rebecca Taylor's work vis-a-vis other NZ designers mentioned in the tour predictions--Helen Cherry, Trelise Cooper, Andrea Moore--I find that the latter three's designs are more edgier if brought off the rack. On the other hand, I feel that if Kate were to ask them to make bespoke pieces to fit her personal style that we're all familiar with, the coordination would be more difficult to handle seeing that they do not have UK stores to handle these kinds of requests. But In fairness to Kate, I think we should recognize that she did make an effort to deliberately incorporate New Zealand inspired details in her wardrobe and that she did showcase designers like Rebecca Taylor and Emilia Wickstead who grew up in New Zealand but who just happened to find more recognition overseas, which by itself is no mean feat on their part. Personally, I don't think there was a snub to New Zealand talent just because Rebecca and Emilia found their success in the UK and as consequence, they make their clothes in in the UK. And let's be honest: many designers would find a sense of achievement if they are able to find their recognition in fashion capitals like London, New York, Paris, Milan. But on the other hand, I think there is also the more enviable kind of business success found in longetivity and cash flow which no amount of celebrity attachments can buy, which someone like Trelise Cooper seems to have. So on that end, I don't think we should fan the flames of supposed jealousy between NZ vs Aussie designers on this blog. As long as they're happy making clothes and they're all making money in their own way, they're all talented and successful as far as I'm concerned. Having a Princess wear your clothes is just really icing on the cake. 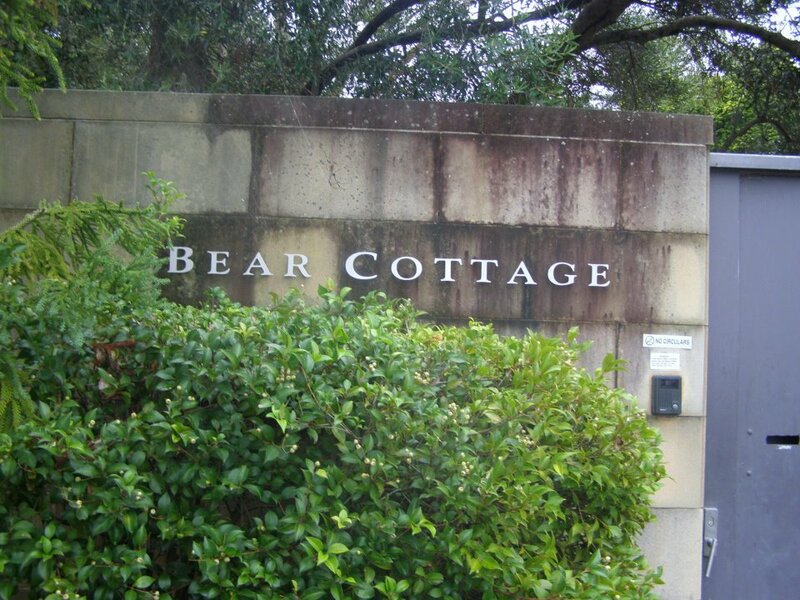 Very much looking forward to photos from Bear Cottage! 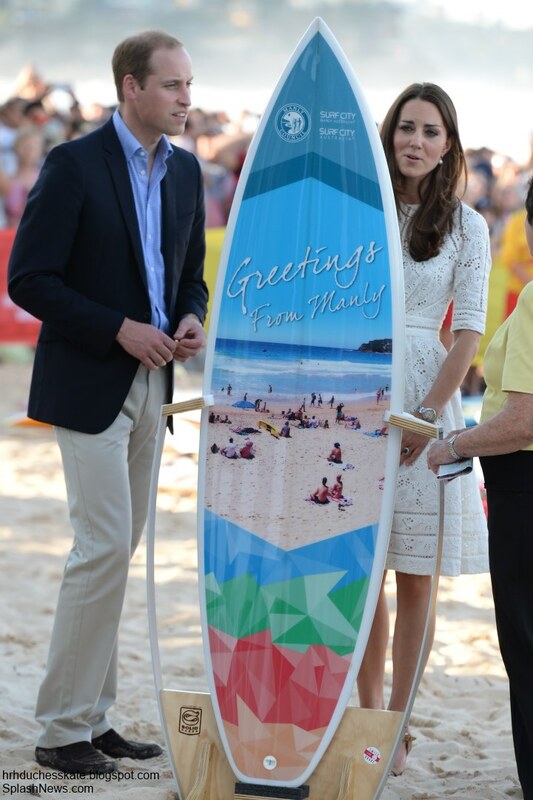 And if our Duchess manages to stride across sandy Manly Beach in those wedges, we all might have to write our own letter to the editor praising her footwork! Charlotte...I typed out some thoughts about how much stamina a tour such as this takes ....and The Queen's Connonwealth tour.....and it disappeared....same thing happened before so I re-wrote and you kindly published BOTH versions. Am still trying to master this smart phone.. (I'm a senior citizen trying to keep up a bit) Imagine how I could mess up when I finally get a computer, tablet or whatever! Thank you for your understanding...and your Fabulous blog! Thank you so much for stopping by and taking the time to comment Jo! I think the gentleman was a bit sarcastic with his letter? That's how I read it, but maybe the man really does love his Kate photos! They're still laughing at each other's jokes after 13 years and seem to take so much pleasure in each other's company. It is nice to see, royal or not. I'll second that, of course ! It is wonderful to see a couple so happy and close. They naturally move in sync too, quite fun to watch. I always love the Duchess in white and I prefer this material. I think it is a nice choice. I could imagine a different kind of shoes but at least she left the wedges at home. She should have a different hairdo as she keeps touching her hair all the time. Now that even has a hairdresser she sports the same old same old thing. A.
I agree. I love her hair but she really needs to pin it back when she is going to make speeches. I found it very distracting when she kept having to move it off her face. It just means that people can't actually focus on what she has to say! It's so funny but I was JUST thinking today that we never see Kate's toes! We always see her wearing hose with her dresses. Today, we see her toes. And no hose! This was interesting. Not long ago I wore hose to a business meeting and a friend told me, "I can't believe you're wearing hose. NO ONE wears hose anymore." and I said, "This is how I roll." I didn't add that the Duchess wears hose and makes it quite fashionable. Anyway, she looked great, love the dress, most importantly I love the happiness and the humor. It's so wonderful to see two happily married people enjoy themselves together. You really get the sense they care for each other. P.S. I wore some wedges today and my feet nearly fell off. They weren't nearly as high as Kate's. They were only 3.5 inches high. These Stuart Weitzmans are 4 inches. I can't imagine walking as she did in them because my feet swelled instantly and hours later they still hurt. RM, I wear hose every time I wear a dress. There's nothing like sheer hose in a great color to smooth out your line and make your legs look awesome - no matter if you're a size 2 or a size 6 or a size 12!! I know that many young women have shunned them before they've even tried them but quality hosiery in the correct size and shade do AMAZING things for one's legs!! I'm VERY glad Kate championed the cause of hose (tights as they're called in the UK). They finish a look. Love this dress. I'm a big fan of eyelet, and wore a white Lilly Pulitzer eyelet dress to my rehearsal dinner six years ago, so it was nice to see Kate wearing it as well. I thought the designer student did a fabulous job. I am loving Kate's choices in Australia, so refreshing and fun. Great job with your coverage of the tour! I know this is your opinion but how can it be to casual for going to a fair or the beach? You would not want to see her in a gow on the sand. Wanted to add... Please have a very happy Easter Charlotte!! God bless you and thank you for all you do for us royal fans! Kate made an unexpected speech. We'll be updating with details as soon as they come in! 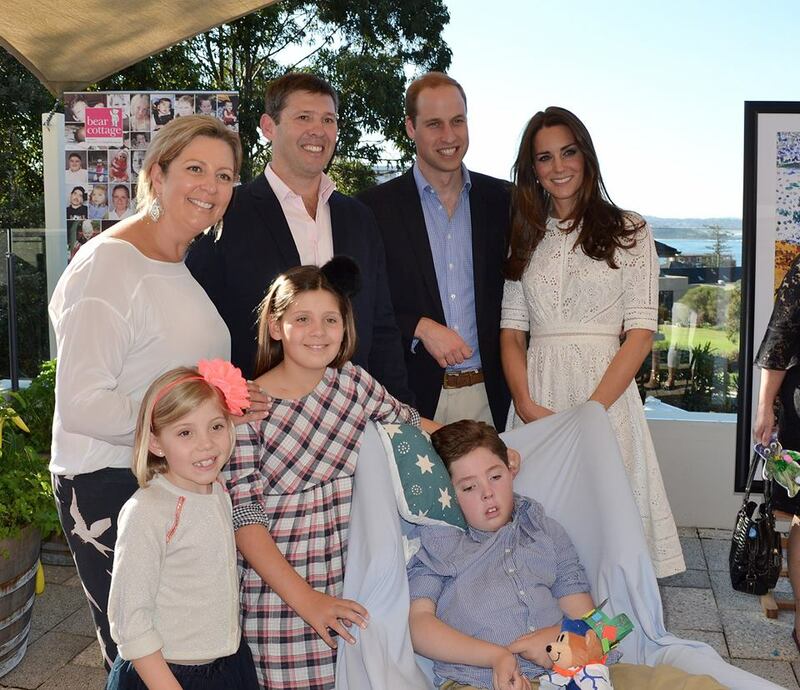 Looks like William changed clothes for the hospice visit. Yes. He took his tie off. Also his pants. Since the top part of him does not match the beige chinos, I would imagine the change was not planned. Some contretemps at the agricultural show. Did that event remind anyone else of a county fair in the US? Clarification: He took off his pants AND put on another pair. If I were clever enough to know how to remove my posts, I would not now be standing at the bottom of a great big hole I have dug for myself. Great idea, Lily! "Kate Petting Things." It would soon fill up. I seriously recommend this idea to Charlotte. Maybe a section of "Kate Loves." Thanks RNNOKC. It certainly appears as if Kate has a pretty close bond with animals. I like the dress but hate the shoes. Do not believe they go together at all. I just loved today's outfit. I loved the dress and thought the wedges went fine with it. Hope we get a video of the Duchess' speech. Theresa, hope things are better for you soon. Their joy really is infectious, isn't it? Thanks very much, Marg ! We'll muddle through :-)) Chin up !!! Yes, their joy is infectious... I really enjoy seeing them so happy. Great fun and I'm sincerely happy for them. Theresa your welcome to come to London . I could take you for a tour of Kensington Palace, and a stroll through Hyde Park, then lunch and at the Duchess of Cambridge pub. I like royalty and it would be nice to meet in person like minded people. Hope every day is a better day for you, Theresa! Kate had THE best French pedicure on her toes for the Los Angeles portion of the North American tour and it looked AMAZING. She's always so polished (no pun intended) down to the last detail, that's why it's so odd that she would neglect a pedicure, even with a light pink or clear polish. I mean, the woman is likely getting thrice-weekly blowouts. A pedicure can be done in a quarter of the time and she could be holding the baby while she gets one. Surely they could find a talented and discreet nail specialist to polish up those royal toes? This dress is so pretty, not sure about the wedges. They seem a bit casual, would love to see her in a more delicate wedge with a pop of colour. Kate looks so good with her tan and her hair is looking great. perfect choice for the day. I don't really like these wedges though; I'd like to see Kate with open sandals like the ones she had in the American tour in Santa Barbara if I remember correctly. The dress she wore yesterday immediately made ​​me remain puzzled but then I changed my mind. I am already sad because the tour is ending .. Am I crazy? Not crazy at all Becky, it has been such fun! I've updated the post with a link to Kate's speech and the text. She did a great job! they're almost flesh coloured and they make her feet look very odd. I should think they are really comfortable otherwise she wouldn't bother. I just want to say well done for your great coverage of the Australian & N.Z. Tour. I am here in New South Wales and was crossing the Harbour Bridge when the Cambridges were at the Opera House! I have followed the British Royals ( and Danish Royals now too) since I was 10 and Diana came "on the scene". My late mother collected clippings and books about Princess Elizabeth ( now Queen Elizabeth) ans Prince Charles as a baby. I have met Crown Princess Mary and also the late Diana, Princess of Wales. Unfortunately commitments with my children meant I couldn't see the royal couple this time. But maybe another time. The Cambridge family have been so warmly received here and they have represented HM wonderfully. Thank you very much. I greatly appreciate all the supportive comments and I'm really just thrilled readers are enjoying the coverage! Charlotte, I can't tell you how much I've been enjoying reading your informational, detailed and overall FABULOUS coverage of this tour. I've been reading your blog from the beginning and your hard work, professionalism and dedication are very much appreciated by us Kate fans. In the words of my 16 year old daughter....you're "da bomb!!" lol! I hope you and your family enjoy a very happy Easter!! You really are doing a stellar job! We appreciate you so much taking the time, day after day, (more like overnight after overnight) to bring us these posts. I don't like this dress at all. Or the wedges. It's just my taste. She's made a lot of effort to look more elegant....lowering hemlines, going more high end, etc. with the clothes but the shoes are still just plain and "meh". I thought the wedges on the cliff yesterday were ridiculous and wedges in the sand today are silly. But I don't want to leave the comment as all negative. Catherine looks beautiful in anything and I'm really starting to like her hair again. The layers around her face are nice! Absolutely gorgeous! Love the dress and the shoes! The royals seem to be having a ball today! I love the outfit so much. She looks perfect for strolling through a fair and a walk on the beach. I believe William and the host lady are over dressed. I would love to see her hair completely straightened and perhaps in a low ponytail to complete her dressed down look. And I like that the dress is a cream color it makes it look antique. I also think the shoes are perfect because they are not noticeable. The dress has a lot of style and doesn't require bold shoes. The dress is the focal point. I do think she should wear lower wedges so she doesn't have to bend over to reach the children. 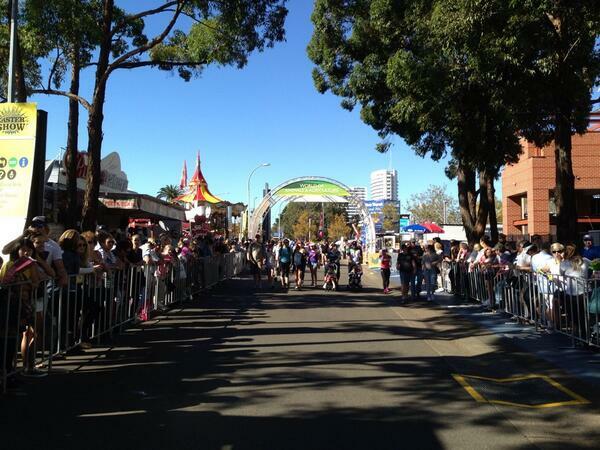 The country feel of the Royal Easter Show. A sweet dress for those precious children at the hospice. A sunny beachy dress for Manly. Wondering how she'll get all the sand out of the weave in the wedges? I love the photo of Kate with the little one at the hospice - looks like they may be singing "Twinkle"
What a wonderful momento of their trip to Bear House. 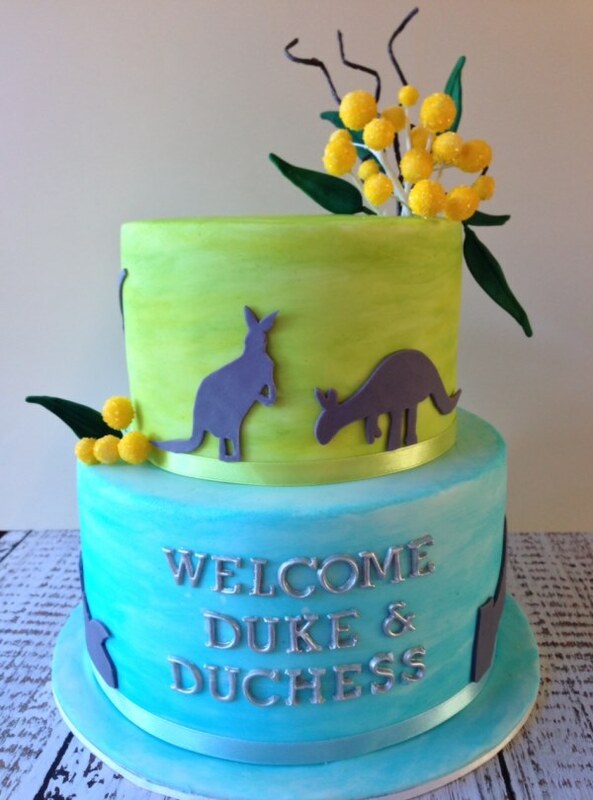 Has such an Australian feel to it with the choice of colours and "dot painting" style. Looks like many little hands contributed to that canvas. I hope they treasure it and keep it somewhere special. It's the rare times like these when I watch Kate and the connection with some of these children, and I wonder if she's reaching down and relating to them through her own childhood experiences. Sometimes I get the feeling her compassion comes from a personal level. I thought maybe she was singing ," Itsy, Bitsy Spider." Out came the sun, down came the rain, etc. Excellent post, Charlotte! Catherine looked fresh today in her lovely dress which completed her dark hair and her lovely complexion. Classic and conservative, while boring to some, truly never goes out of style. The fact that she is not trying to be a celebrity, and is trying to bring attention to her cause is admirable. Last but not least, Catherine brings such warmth to any venue she attends. Such a lovely compliment to William and there is no doubt their popularity will only rise given how genuine they appear to be to everyone they meet. Stay true to who you are, Catherine. Note: I love the dress designed for Kate, too. She would look so lovely in the dress with her hair up. Thanks again, Charlotte. I think they all look fabulous and I love this blog. I can't wait to see the daily pics each morning. The British really are getting their money's worth out of this wonderful young family. I want this dress for myself. It is timeless. Anyone of any age could wear it.. Now I love the wedges on their own(I own several pairs myself and they are comfy) however, they just don't seem to go with this dress. The dress would have worked better with accessories. Glad to see her out of the hoses but she should have chosen better footwear. I have never cared for wedges. She seems almost too casual. Also she should have worn her hair up. She is always messing with it when she wears it down. Someone needs to have a word with her about that. I think it is a sign of nervousness on her part and wearing it down is some sort of security blanket for her. I am surprise that she gave a speech but I am glad it went well for her and like the photo where William is sitting down and is looking at her as she gives her speech. You just know he is silently encouraging her. Thanks Charlotte for your continue hard work for keeping us up to date on the tour!! I loved this eyelet dress on Kate! She looks wonderful in it. And I love the dress the designer made for Kate. That blue color is just beautiful! Happy Easter Charlotte and many thanks again for your wonderful tour coverage!! Awww I think this is my favorite post! Kate and William look very happy and content. Loved Kates dress! and Williams attire. It did look abit warm out for a sports jacket . The Easter fair looked like a fun venue. George would have lived the animals.So thankful again for the people at Bear Cottage like Rainbow Place who reach out to families during these difficult times. I think Sophie's dress would look great on Kate! Thanks for another great post, Charlotte!! We all greatly appreciate it. I just love how you format your post with all these details, pictures, and links =) I love Kate's look today, simple and light for the events they had attend. I can truly relate to Kate's nervousness in giving speeches - I really hate doing so myself. As far as Kate goes, I am a huge fan, but I had hoped she would be more comfortable giving speeches by now. They always seem so forced and the fact that she reads them instead of just speaking from the heart. I couldn't finish watching the video because I found her constant hair flipping distracting. She did a great job. This is only her 3rd or 4th speech. Then consider they just met with a child and it's parents that is the same age as their baby son who has only days to live. I honestly thought that this was the best speech she has made so far. To me she looked more natural doing it and I thought the content of the speech was very appropriate and heartfelt. Even polished public speakers have nervous ticks and she isn't exactly an old hat at this yet. I spoke yesterday in front of the parents at my children's school and I was so very nervous. I cannot imagine having all of the cameras and people. I think she did really well. I really have liked all of her clothing choices. The yellow dress was a refreshed look for the Duchess. I thinky favorite was the blue tweed suit. I saw a pic where the wind was whipping her hair back. Her facial features are very classically beautiful. I know there aren't going to be any tiara events but I would love to see her with her hair up and a diamond tiara glittering on her head. In terms of her clothing today I thought she looked lovely. I didn't love the wedges, but the dress is fantastic. The tour has had some strange groupings of engagements (fair, hospice, beach?) so I can imagine that dressing appropriately for every circumstance is difficult! So far I think she has done extremely well. While she might not be making any extremely thrilling fashion choices she has always looked lovely and appropriate for what is occurring (I think so, even though I'm not a huge fan of her skinny jeans!) and to me it's more important that she is focused on the engagement at hand. Maybe she feels too self-conscious wearing something out of her comfort zone and would feel distracted at an event as a result? In that case, "boring" doesn't bother me so much. I think she looks great. This is the only dress I've seen so far that I'd want to buy for myself. I hope they did something serious today but the animal fair looked great, especially Fred the ram. I just have to say it: why do countries have royals participate in things like: digging holes for trees, climbing steep cliffs and running on the beach? I understand they want people of importance to get a feel for the highlights of their country BUT: high heels and dresses for these events always stumps me. They country did not ask Catherine to run on the beach in her heels. It was her choice to do so and not to remover her shoes. Okay, what about the rest that I mentioned? I am not being snarky, I truly would love if someone had insight to this. It's tradition . Nobody ever asks why, so they just keep doing those things. If I compare the two white outfits on this post, I like the 2012 better for official visits. The Australian design looks a bit girly for the title Kate is holding, Duchesse. But then this is only my very own opinion. I too am amazed by the amount of work done to show us the best of the bests. This is a great post as always, Charlotte, and I can understand your enjoyment of this day of the tour! Kate's dress is another example of structure based on very interesting seaming. It fits Kate much better than it does Naomi, and it looks much more dramatic with her dark hair and deepening tan. I love the fan of gathers above the waist. I can imagine this 50s style with a light crinoline petticoat underneath! (Revealing my antiquity.) The deep blue wool gown designed by the student is also lovely, and Kate appeared to appreciate its design. The hospice visits must be so hard on Kate and William now that they have their own child, who appears quite robust! But Kate's speech and interactions with the children and their parents are special and no doubt provide a bright day during such a sad time. I loved this day! I have very little to say about what the Duchess is wearing. She looked pretty. It was great that she wore Australian. For once, I'm much more taken with the activities of the day. The Royal Easter Show looked like such fun and the Duke and Duchess seemed to be having a good time. I'm slightly jealous as the place where my husband is currently stationed is rather dull and dreary with nothing going on for Easter. I love hearing about the little bits of banter between these two. I do hope that Kate tries on the blue gown and sends pictures back to the student who made it at the very least. I thought the time they spent at Bear Cottage was quite special. As it's been reported that Kate writes her own speeches, I think she's getting better. It was nicely done. How fabulous was that piece of children's artwork? I've had my students make aboriginal dot paintings and they quite enjoyed it, but this is something special. Were I the Duchess, I would hang that in my nursery or playroom as a reminder. I thought the cake was sweet as well. What fun to be out on the beach! I so wish Kate had kicked off her heels like Rebecca. In fact, how amusing would it have been to see the Duke and Duchess shoeless, Will with rolled up cuffs?! They kept it more conventional, which is in keeping with the tour really. The beach looked wonderful today. Wish I were there. Thanks for taking such care with your reporting, Charlotte! Another great post Charlotte! You are really doing the Royal family a service by not only satisfying our curiosity about everything Kate, but teaching us about the causes they champion. The Firm should put you on the payroll! I was happy to listen to her speech - well done, Kate! Dress is beautiful. I much prefer it to the one she wore in SE Asia. Are there alternative links for us in 'Merica to watch? Very pretty dress and suitable for all three engagements. Just been watching a report on "Sky" where Catherine is joining in singing "Twinkle Twinkle Little Star" with all the actions---so sweet. Seems sad that Australia has just 2 children's Hospices, it is such a large country that there must be many who are too far from one when it is needed. This has seemed such a happy tour. Seeing it makes the day. Thank you for the reports Charlotte. Charlotte, I would like to thank you for for stellar coverage for the tour. Because of your prompt posts I've been able to buy many items of clothing worn I tour: the Paulina dress from torry burch, the tea dress from suzzanah, the zara blazer, the gap gingham short and the me & em Breton top. So many thanks for that! I read in your post that the roamer dress will be available some time in June, but was wondering if you would get more info from the brand as which stores in the uk plan to stock it? I read on their site that net-a-porter, harrods, and harvey Nichols stock the brand (and I also see that matches fashion is a distributor), but Zimmerman has the info whom stores exactly plan to stock it in the uk. Do you think you could contact them to find out? I have already contacted them but I think they would respond better to you knowing that they info would be posted in your blog. If I hear from them in them meantime I will contact you. Many hanks Charlotte! And I forgot to add the dvf Patrice dress in size US2 from the uk site which I again got from your quick and very efficient posts! I haven't received it yet same for the suzzanah dress (due to night demand it was out of stock but appeared available on line and I'm receiving probably next week), and the zara blazer. Like you, I found the Paulina dress amazing and very versatile, I have already worn it twice and got many compliments. You are doing an amazing job with the coverage and with everybody writing how quick the pieces sell I can't thank you enough for your quick posts. I have baby twin boys and I'm constantly in the house and reading your posts puts a smile on my face! I look forward hearing news about the Zimmerman dress! Thank you for the post ,Charlotte , it's so lovely to see them so relaxed and engaged . Do you think the Duchess will do more engagements when they are back ? Or she's taking off several weeks after this trip to rest ? The Duchess has expressed to aides she wishes to increase her royal duties. I don't think it will be a huge increase but we should see her taking on more engagements in the coming months. I hope we see them in the states on May 3rd along with George (with nanny). Then would like to see more joint engagements with William. He i snot in school any longer nor is he working so there should be no reason why the can't do engagements together along solo ones. Now unless Charles is behind them not doing joint ones. Beaches, sand and sunshine......so jealous. Charlotte, noticed you slipped in a few new pictures at Bear Cottage with the families. One was with that very ill baby who is George's age, I believe. Absolutely heart-wrenching for those parents and for William and Catherine. Bear Cottage shared them on their Facebook Page and I thought I'd add a few. They're beautiful photos and hopefully they'll circulate because the hospice really relies on donations and an opportunity like this could be very meaningful for them. They provide such a vital service at an incredibly painful time for families. Both William and Kate had to hold back tears, it was a very emotional visit. I bet they went back to Prince George and held him tight. I am so touched by the Royal visit to Bear Cottage. It is so moving to know the Royals are using their influence to hilight the urgent funds required to meet the needs of these amazing families during their difficult times. Wow. I thought this was a stellar day for the Duke and Duchess. I watched the Duchess give her speech at Bear Cottage. Honestly, I thought she was wonderful. She's come such a long way since her first short speech 3 years ago. 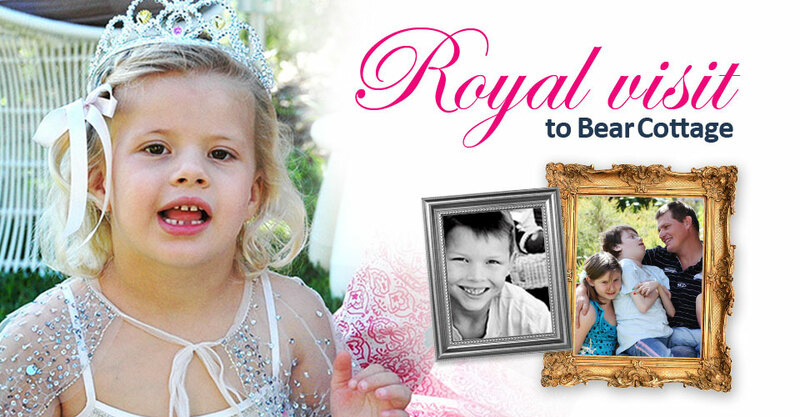 You could certainly tell how close the hospices are to her heart, and to William's as well. I can't imagine how hard that must be, but they are naturals. Loved her look. Young and beautiful. Looking forward to the family trip to the Zoo on Sunday. Thanks, Charlotte. You're the best. I'm not a complete fan of eyelet, it always reminds me of either very little girls or bedroom curtain material. 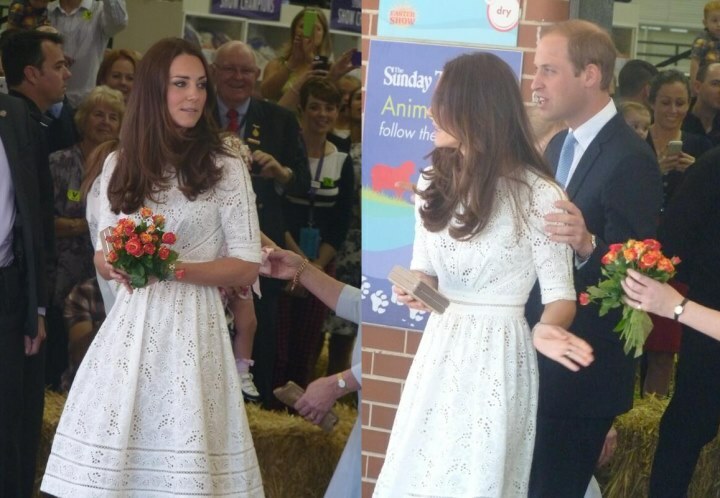 But this look was not bad on Kate and was appropriate for the events, going from the more casual environs of the Royal Easter Show to the more serious setting of the hospice. I do wish she'd worn her hair up, it's absolutely distracting that she's constantly fiddling with it when she wears it down or tossing it back. It means she's not focusing on the event or the cause or the people there and it's kind of rude, though I'm sure she doesn't mean it to be. It seems like at this series of events, it would have been a good idea to do a ponytail or demi-chignon so Kate could focus all her attention on her hosts and the event at hand. Quick question for Charlotte - what kind of pedicure does Kate sport on her toes with those open-toed shoes? This is off task but what are the chances of William & Catherine attending the wedding on May 3rd? It i so close to their return from tour. If they do attend hopefully they take little George (and nanny) or maybe they would leave him with her parents. But that would be 5 days away from him. 2 days travel and 3 days there. My guess is we'll probably see William and even possibly Harry there - indeed, it will shock me if they're NOT there - but I doubt Kate will make the trip. While Guy Pelly is one of William's closest and longtime friends, I don't think he and Kate have ever been very chummy. Even if she does, it would surprise me if there are any photos because I expect security will be extremely tight. I'm not happy at all with the Duchess and her speeches. It's ridiculous she still shows nerves when she speaks. How is this still possible.? My God it looked really bad seeing her flipping her hair back all the time, stuttering and stumbling the words again. She has to fight those nerves because this is getting silly. I'm worried about her. I think she's under a lot of strain and she's looking thin. If I was part of her team or a close friend, I would tell her. Maybe someone is not telling her.? A first baby is new and demanding. U also tend to be nervous of making mistakes naturally. . Carole her mum needs to step in steady the ship a little. because obviously she knows her daughter more than her staff and nanny. Although Diana brought baby William on tour with her, she didn't actually carry him from place to place. We only saw him in NZ when he crawled. Kate herself is more hands on with baby George and he is a big strong lad. I said to myself there was no need to carry baby George on tour and seem like copying Diana, just because the press or fans push her too. She has to be her own person and that includes clothes, hair and make up. Thank you for commenting. I have to say, I think Kate looks happy and confident. Public speaking can be very difficult for some people, particularly when so many people are watching. She's definitely improving. Someone mentioned the photo showing William sitting to the side, silently cheering her on. I thought the same thing. He knows her true heart. I can understand because she's not royal and not born to do it. That's why she must conquer her nerves, the press and the cynics are like dogs on heat waiting for anything to get at her. I recently watched princess Viktoria from Sweden given public speechs and interviews. and the difference is amazing because she is born a princess.. But here lies the problem. The commoners who some of those royals have married are extremely bad at public speaking and terribly nervous also, exactly what kate finding now..
We all love her and support anyway. The Royal family is not like their European counterparts. It has huge prominence around the world in comparison and kate is gonna have to conquer those nerves real quick. Beatrice, Eugenie, Zara etc are all comfortable speakers and Cp Mary of Denmark was a journalist and PR person before she married, So kate has to step up. We need her to be a strong role model. not just groovy chick. Right now to she's Kate Moss and Emma Watson with a bit of Victoria Beckham thrown in Working class, Middle class then Royal. It's a big jump.. The blue coat she wore in NZ and the hair and her poise head up and straight was stunning that day. People literally bowed as if she was a Queen. She showed great discipline in the beginning and then it tailed off towards the end. This is what it's all about .keeping the hair of your face most of the time and slowing down to engage the public, not frantic handshaking but slowing right down, let people take u in and touch hands gently like the Queen herself. Diana got right down to talk to little children, because she was very tall 6"0.She engaged them at eye level because she had already worked with children at nursery and that technique was how she worked. She also worked with disabilities and the elderly part time when she was at school, so all this came naturally to her and it was new to see a royal do it Diana started it and it's normal practice now everywhere. Kate is from a completely different background and now mother. Royals can be important royal models because of their high position and kate must put in more control of her image..
Diana also hated snobbery and was tormented by the "blood" royals. She had a pedigree that rivalled her inlaws, yet did her best to raise her sons with the common touch. It seems William is somewhere in the middle between his father's traditional royal view and his.mother's humanitarian, outgoing ways.Catherine is between William and her family. There is a world of difference in attitude. I've never heard Zara give a speech, or the York sisters, for that matter. In short, Florence was right. Effective speech-making has to do with experience. King George VI was certainly of royal blood and had a terrible time making speeches. The underlying problem may differ, but my point is royal/ commoner has nothing to do with it. One wouldn't disparage King George for his speech-making and one shouldn't do so with Catherine. The Europeans have all had at least ten years experience. Give her time. I can imagine how she feels today, because I'm sure she is as upset with herself as anyone can be. And yes, I have overidentified and presumed etc., but fair is fair. Comparison of royals to celebrities is a current mantra for republicans. It is meant to demean the monarchy.Catherine is as royal as CP Mary, or Camilla, for that matter. Sam, I have enjoyed so many of your posts. Forgive me , please, if I disagree with you this time. It is almost as though you had tired of sweetness and light and wanted to stir the pot a little. Sam you seem a bit more stressed than perhaps all the people were who were delighted with her. I think the confidence will come with time and practice. P.S. Thank you Charlotte. This I think is my most favorite post of all. Hi Sam, I agree with Charlotte. She may be on the thin side, but she looks very healthy. Most of all both Catherine and William seem to be having FUN! So important. And their dedication to everyone they meet is astoundingly positive. Catherine is coming into her own, she is beaming with confidence. I think her speech was individualised and appropriate. And yes, public speaking takes time and practice. It's very nerve wrecking! I adore this dress on Kate. I love the look. Very vintage, which appeals to me alot. Classic, clean, fresh and feminine. I would wear this dress in a heartbeat. So happy for them, and the tour is smashing! Looking forward to seeing more of Prince George! TRH seem to be totally enjoying each and every event, and the both look great- I have noticed the special closeness they share, we don't often see them at the same events ----it warms my heart. I so wish Diana could see what an amazing son she has . Love Catherine's dress and shoes- again wish I could walk in them but they are too high for my short self. I saw a photos on twitter just now of her dress for today's events and here hair is half up. Dress is just beautiful. I don't think she has had a miss on this entire tour. Can't wait for the latest postings to start rolling in. Charlotte, thank you so much for all that you have done and continue to do for we Royal fans. Where would we be without this Blog and you guidance and information- it's not just pictures and clothes- it's history and history in the making. You are a star! It seems there is still quite a lot of criticism about Catherine's public speaking skills. I think she has come a very long way in the few speeches she has given. I believe that this one was, by far, the very best speech she has given. Public speaking is very daunting without cameras going off all the time. I cannot imagine the pressure to speak clearly and concisely. She will grow into the role more as she has practice. The content of the speech is what should matter the most. I believe she did a beautiful job and she was very sincere. I wonder whether laser-cut lace as reportedly used in Kate’s dress has become something rather common. If it is still on the cutting-edge technology side, that could be another of many reasons for wearing it. This post (and the one from Rainbow Place) are stand outs. You've really captured the "heart" of the places and the occasion. I choked back a sob of my own reading this post. If it helps lift attention and awareness, and boosts support for these critical services, then you have done an awesome thing. Well done.